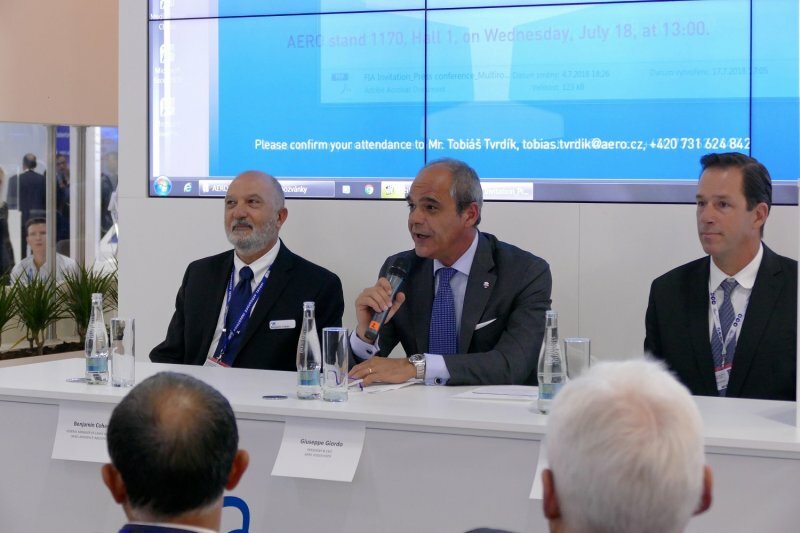 Farnborough, United Kingdom – Aero, the biggest Czech aircraft manufacturer, and Israel Aerospace Industries, world leader in defense systems technologies, introduced cost-effective, combat proven fighter attack aircraft. The F/A-259 Striker is a multirole aircraft for close air support, counter-insurgency operations and border patrolling with interception capabilities. 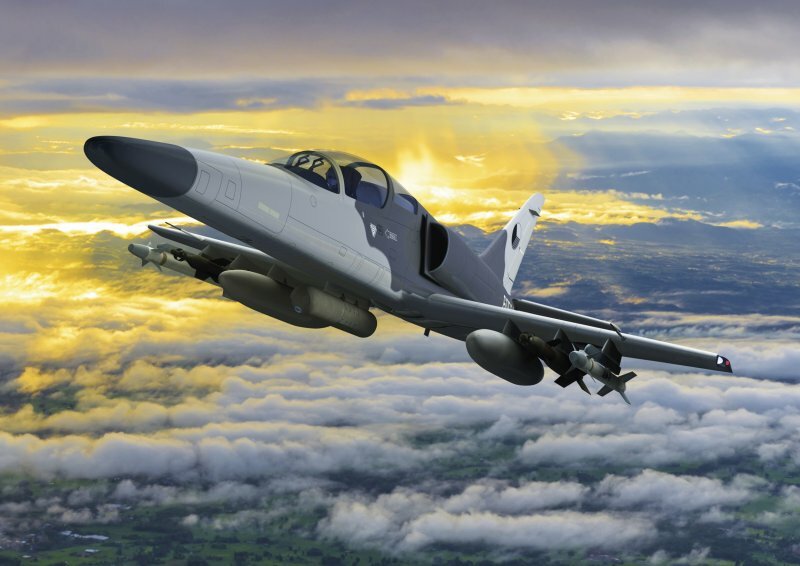 The F/A-259 Striker combines the robustness and effectiveness of its successful predecessor, the L-159 Alca, with the latest advances in avionics and aircraft systems technology. Using benefits of a wet wing, F/A-259 Striker provides superior performance, great maneuverability, and a high range. Advance 4th generation avionics for the F/A-259 Striker has an open architecture concept, allowing future updates based on customer’s requirements and use of Real Time Data Link, supporting a high situational awareness capability. The advanced digital cockpit is equipped by two large multifunctional displays, electronic flight instrument system, and other features. AERO Vodochody AEROSPACE a.s. focuses on design and manufacturing of both military and civil aircraft. It is the largest aircraft manufacturer in the Czech Republic and one of the oldest aerospace companies in the world. With a vast fleet of the L-39s still in operation and a brand new L-39NG aircraft, Aero manages to maintain its strong position of a leader in the military light jet market. Additionally, Aero has been a reliable long-term partner to many of the world’s air forces in the area of military pilot training. In the field of civil aviation, Aero partners with many of the world’s largest manufacturers in a diverse range of projects and even several risk-sharing programs, taking responsibility not only for the production of structures but also for their development. IAI is a world leader in both the defense and commercial markets, delivering state-of-the-art technologies and systems in all domains: air, space, land, sea, cyber, homeland security and ISR. Drawing on over 60 years of experience developing and supplying innovative, cutting-edge systems for customers around the world, IAI tailors optimized solutions that respond to the unique challenges facing each customer. IAI employs its advanced and proven engineering, manufacturing and testing capabilities to develop, produce and support complete systems – from components, sensors and subsystems all the way to large-scale, fully-integrated systems of systems.